If you send out large amounts of emails, it is useful to systematically track interactions with those emails in the place where you store your customer data, such as a CRM, then this flow can save you time and increase your reach. Keeping basic email interaction data on your customers allows you to quickly gauge interest and engagement across the board. 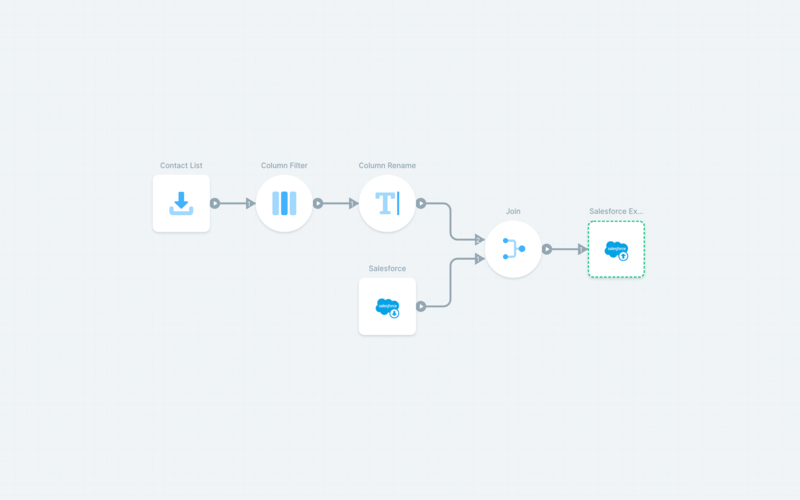 In this flow, the data source is a CSV, which is what you would do if we do not have an integration for wherever your email interaction data is currently stored. To see how to do this without a CSV, check out this example. Knowing the actions that your customers or leads take on emails in a structured way is a easy way to maintain healthy segments within your CRM or other tool. This benefits you by giving you communication engagement insights into your customers, as well as the ability to tailor messages for them. If you send regular weekly emails, and a group of users have not opened those emails in 3 months, chances are you should stop sending them, and try a different tactic. On a more personal level, knowing quickly that a lead opened your last email before you hop on the phone with them is a surefire way to have a more personal and engaging conversation. The flow takes in a CSV that you provide which should contain a column of email addresses, and any columns of email interaction data that you have. The file used in the example is from a Sendgrid campaign and has some important interaction dates. After importing the file, filter down the columns to the email column, and any others that you want to keep. You can rename the columns after that if they are not clear. Import the CRM data that you want to link this email data to. In this case, we use a Salesforce object to import all of the open leads, only bringing in the ID and email fields. A left join with the Salesforce data stream in the first position ensures that the only data we are sending back to Salesforce is on leads we know it has. From there, the data connects to a Salesforce Export object to be upserted (updated) on the lead objects.